It's been five years since we introduced our candle recycling scheme at our very first market! 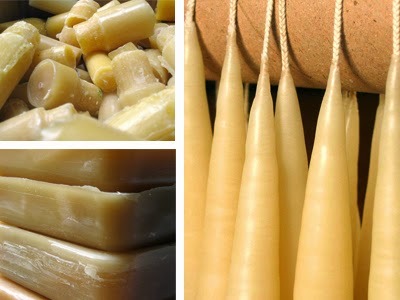 Since then, we have recycled almost 100kg of wax into new candles. It's also been five years since our first blog post and felt sale. It's hard to put an age on a business that has had a few stops and starts since it very first began as my freelance graphic design business about 10 years ago (which I still do!). So I think this is a good a time as any to say that Rose in Thorns as we know it now is five years old. Because who doesn't like birthdays?! We have also recently put a candle recycling drop off point at Pay it Forward in Mairehau. You can drop off any used candles to be recycled (any unused ones will be donated to charity, so we encourage you do do that as well). If you take in any used Rose in Thorns candles, you can also receive a discount* on your next candle purchase. 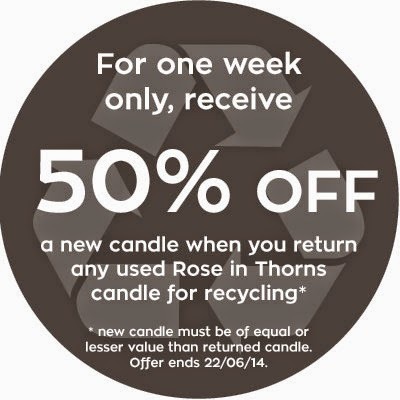 So, in order to celebrate both of these milestones, we are giving a 50% discount on any used Rose in Thorns candles that are returned to us this week. If you can't get into Pay it Forward, at 45 Nancy Ave, Mairehau, Christchurch, then get in touch to arrange posting it to us. We can do free return shipping on any candles purchased. *conditions apply. More information can be found in our Sustainability and Recycling section.